Under a new parking penalty exemption that came into force today, drivers of the latest Range Rovers are to be allowed to park them "wherever they ******* well like." Commenting from his £20 million home on St George's Hill, Weybridge, Jason StJohn d'Arrogantia. 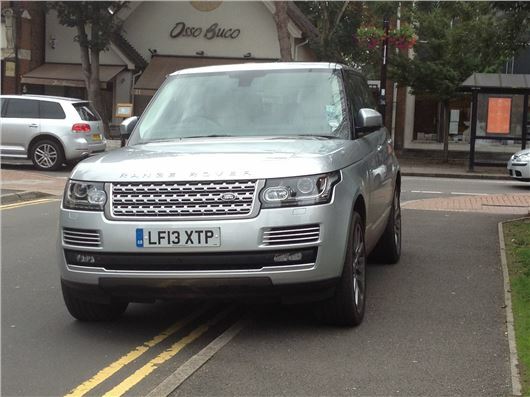 stated, "Range Rover owners are far too self-important to conform to regulations designed exploit the hoi-polloi. If parking half on the footway at the entrance to the local health centre impedes access to it by the elderly, the infirm and the disabled, then that is as it should be." A spokesman for the Liberal-Democratic party said, "Our new charge of 5p for plastic bags applies as much to Range Rover owners as to ordinary people." Speaking on behalf of the Labour Party, Ed Balls stated, "I blame George Osborne for the economic policies that led to this." The CEO of a Parking Penalty Enforcement company affirmed, "We will make up the shortfall by ruthlessly penalising owners of Smart Roadsters."